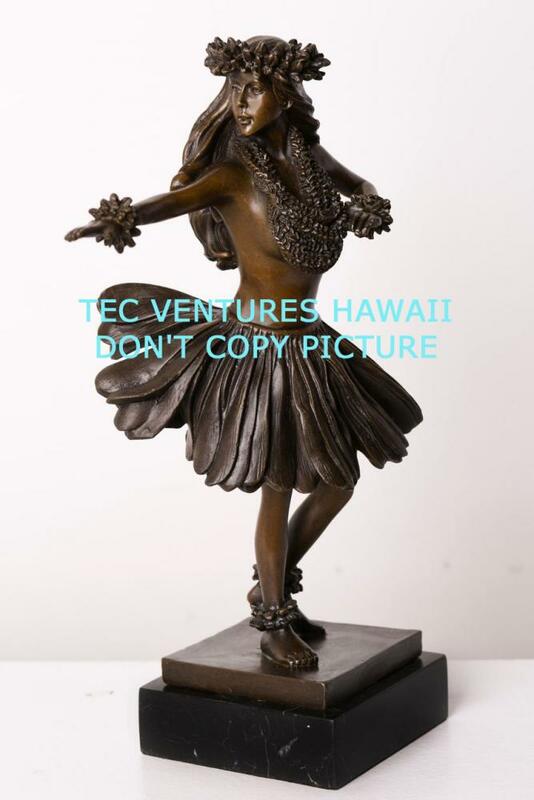 Reece, Hawaii's premier Hawaiian Hula photo Artist, created three stunning sculpture collections. 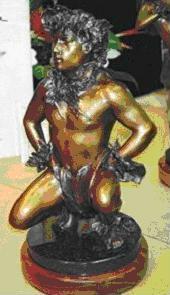 The first, a series of now thirteen (13) bronze finished Cold Cast Resins; each about 12"-15" high. 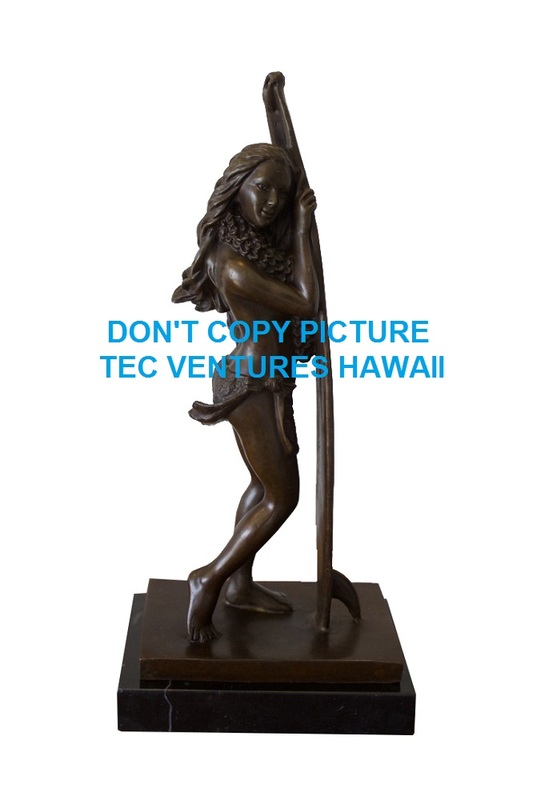 The second features the nine (9) statues cast in BRASS with wood or powder coated aluminum bases (50 were Bronze Alloy and Marble Bases)--collector's edition (although not limited edtion, there's currently about 274 of each ((100 of Ala and Hula Noho)) (only 24 of Kekoa and Aloha) in Brass and 50 each in Bronze/Marble in circulation--we normally cast about 50 a year--ALA AND HULA NOHO are Sold Out--these two will not be cast again!! 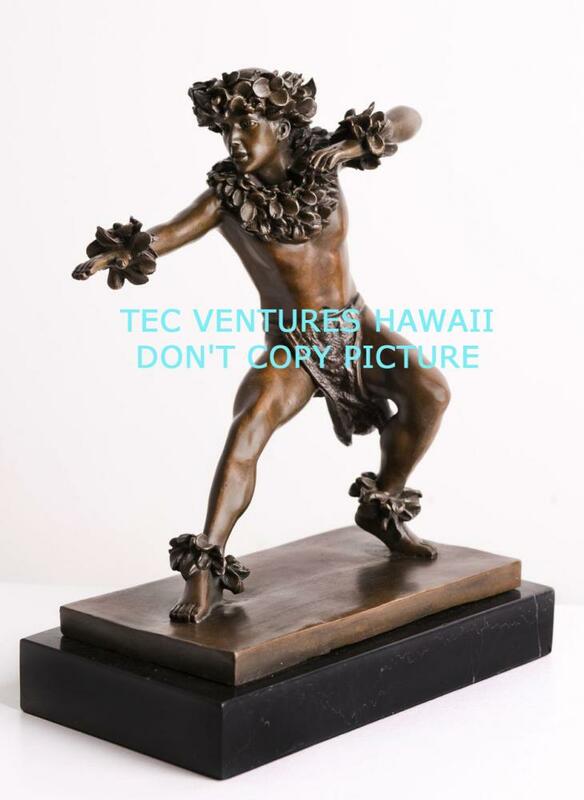 In 2013, we cast eight (8) styles in high-quality Bronze with square/rectangular black marble bases--we only made 35 of each of the eight poses!!!!! 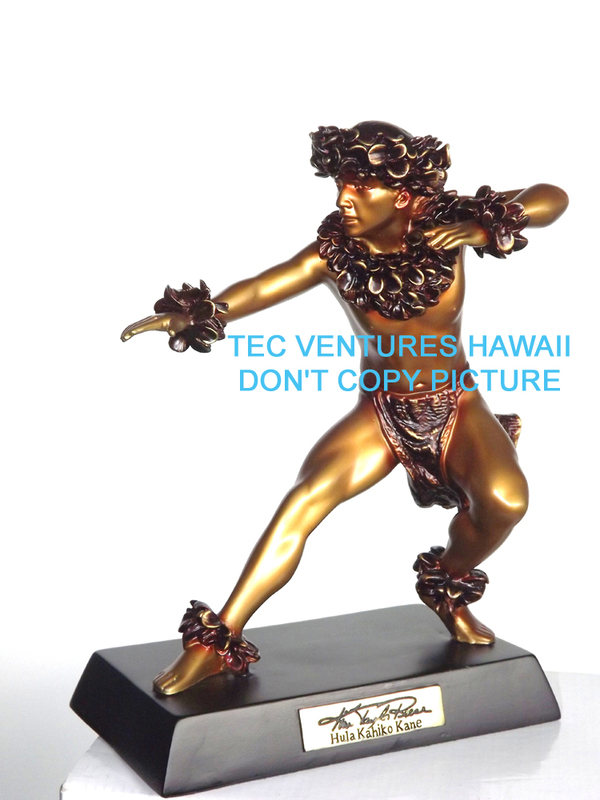 Feb, 2016, we did 30 each of (11) poses (including the 3 NEW poses) in high quality Bronze with Marble bases--Kim's signature is etched into the bronze base. 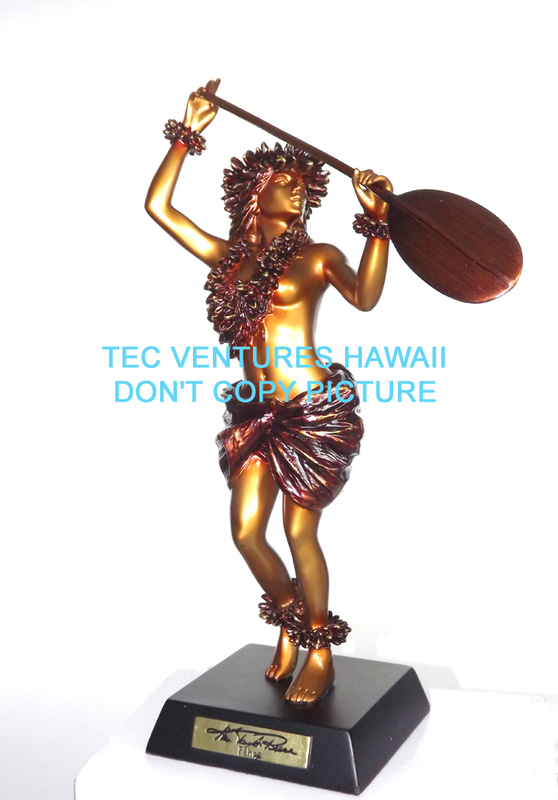 The third, a Limited (Art Collector's) Edition of five (5) 100% Solid Bronze with Black Granite and Hawaiian Koa Wood Bases (except the Relief image, Makani Lei has a solid hardwood back plate); ranging from 12" to 23" high. This Limited Edition is small, ranging from 25 pcs to 100 pcs only--each comes with a certificate of authenticity signed by the artist. ALERT!!! 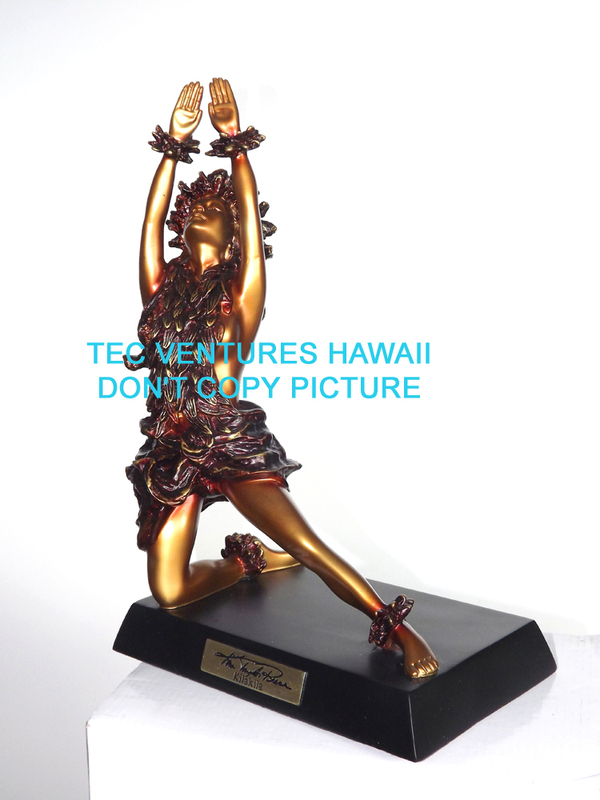 "Moe Kahakai" (Beach Dreams), Kim's NEWEST Cold Cast Resin Hula Sculpture and Lamp, is AVAILABLE NOW!!! 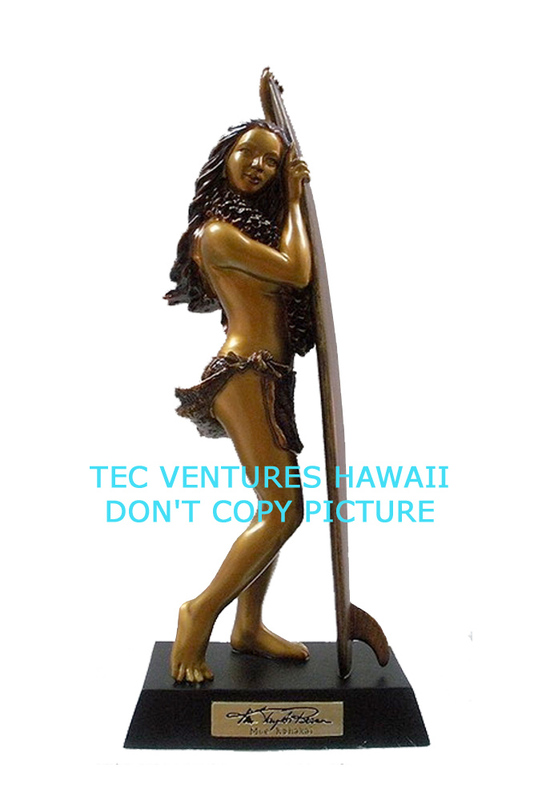 This sculpture is also intended to be the new Trophy for the "Pipeline Pro Wahine (Women's) Surf Contest"!!!!! HURRY, ORDER NOW BEFORE THEY'RE GONE!!!!! ALERT!!! Attention Collectors!! 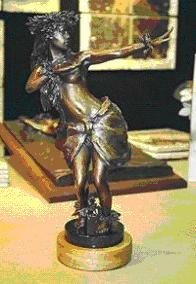 The high-quality Bronze with Black Marble base Sculptures are HERE!! 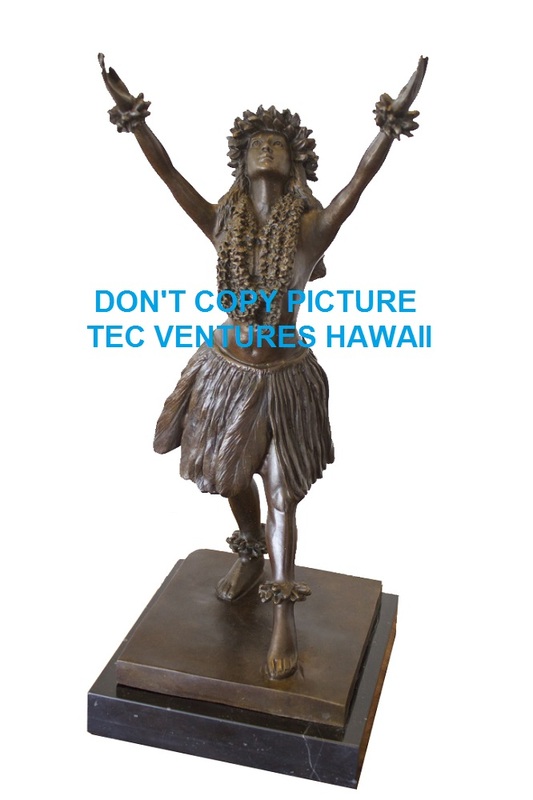 !, we cast ONLY 30 of each pose--INCLUDING Ku'ulei, Kamalani, and Moe Kahakai FOR THE FIRST TIME EVERY--ORDER THEM NOW!!!! 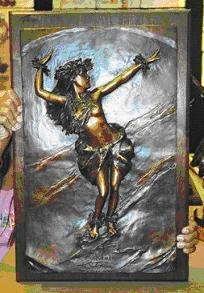 THEY NOW HAVE KIM'S SIGNATURE ETCHED INTO THE BRONZE BASE. 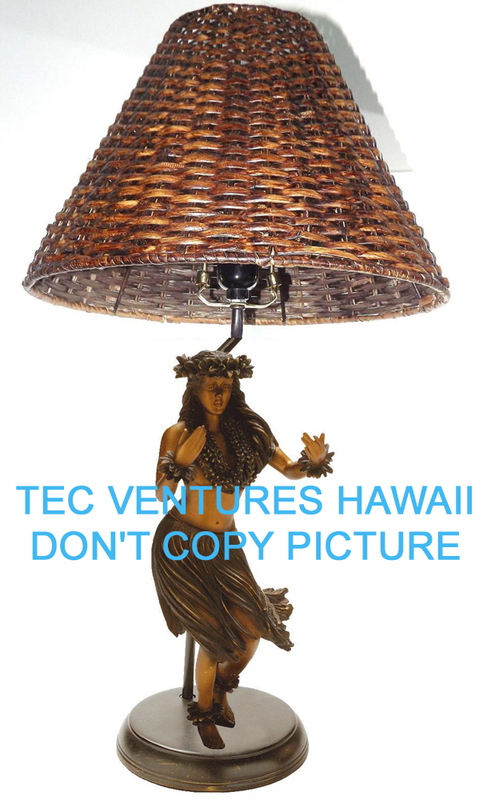 We now have eleven (11) of the sculptures as Production Lamps....In Jan 2013, we added Ku'ulei and Kamalani, and in Dec 2013, we added Hoe Wa'a and Moe Kahakai......Pohakea, Kilohinani, and Hula Kahiko Kane, Kilakila, Aloha, Kekoa and Pahoe! 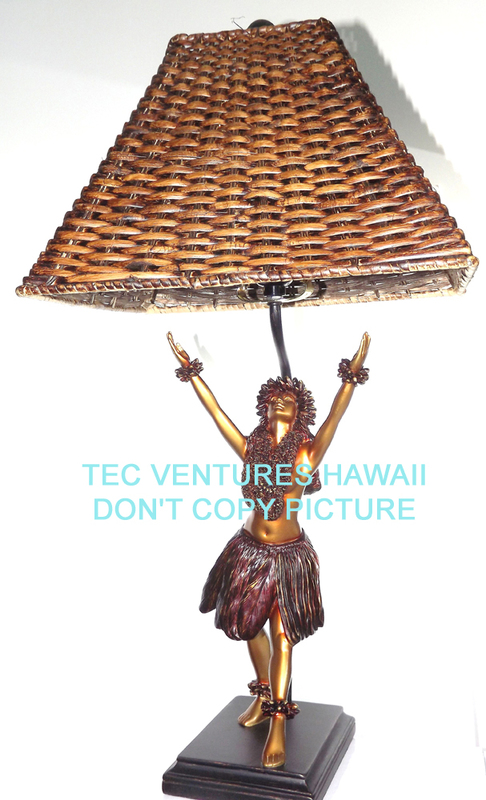 They have dark brown woven (Wicker) shades--Pohakea, Kilohinani, Aloha, Kekoa, Pahoe, Hoe Wa'a, and Moe Kahakai are rounded while Kahiko Kane and Ku'ulei are squared and Kilakila and Kamalani are rectangular. We can't keep them in stock!!! Available now!! 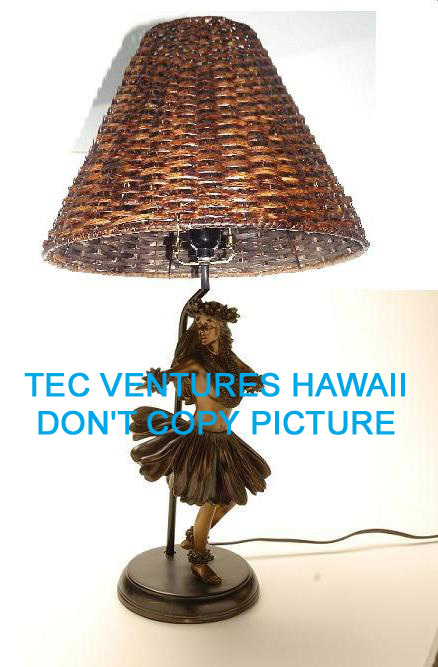 The two (2) One-of-a-kind Lamps: Ala and Hula Noho are sold out. ALERT!!! 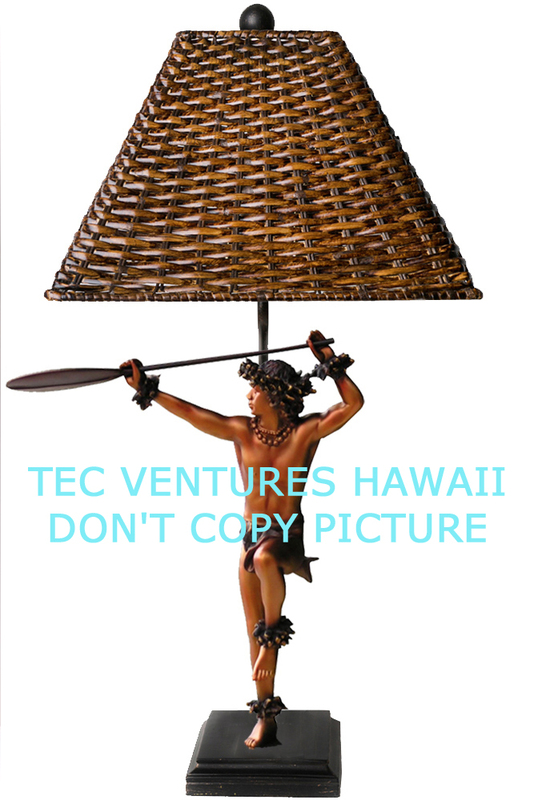 Ala and Hula Noho were OFFICIALLY RETIRED on 1 Nov 05....both are sold out!!! ALERT!!! 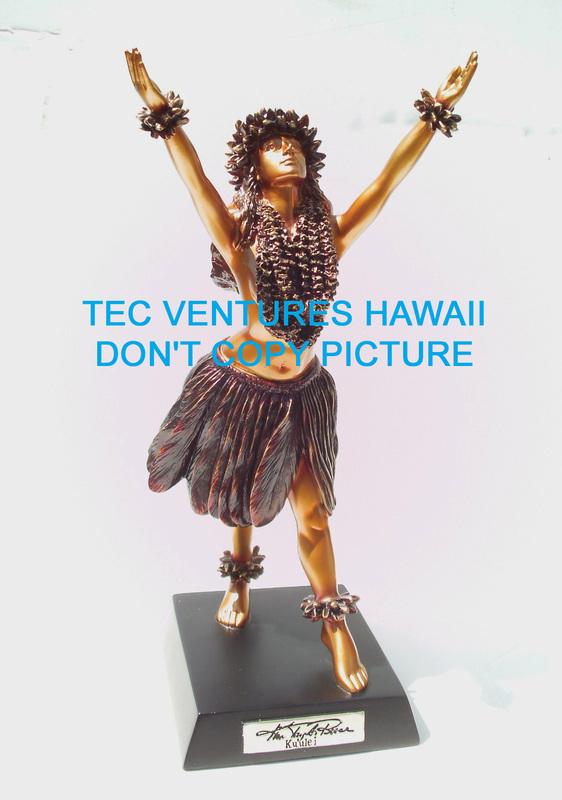 The three (3) NEW Resins are available now--Kuulei and Kamalani and Moe Kahakai.....THEY'RE HERE NOW......ORDER THEM NOW!!!! REDUCED SHIPPING ON ORDERS OVER $150 AND FREE SHIPPING ON ORDERS OVER $500!!!! 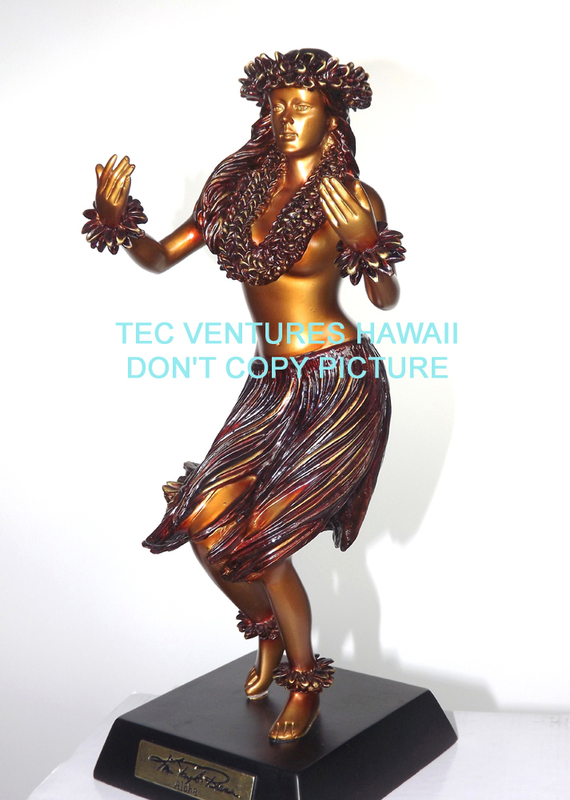 KTR Resin Hula Sculpture "Ala," (Pathway, Follow Me) SOLD OUT. 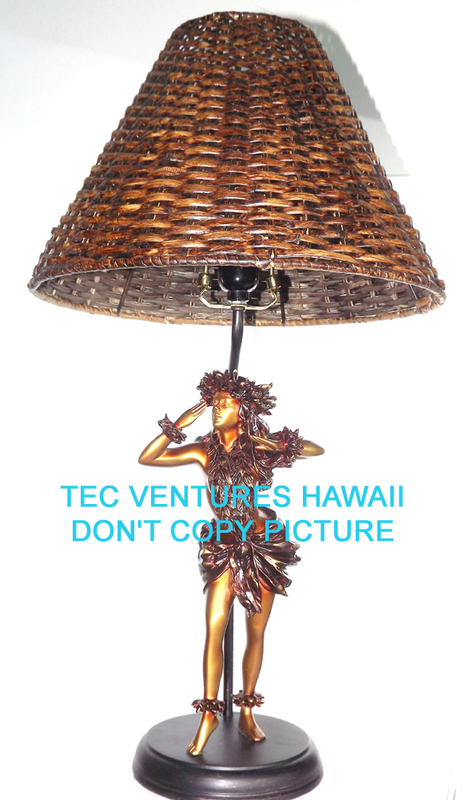 Call or email us to be placed on the waiting list. 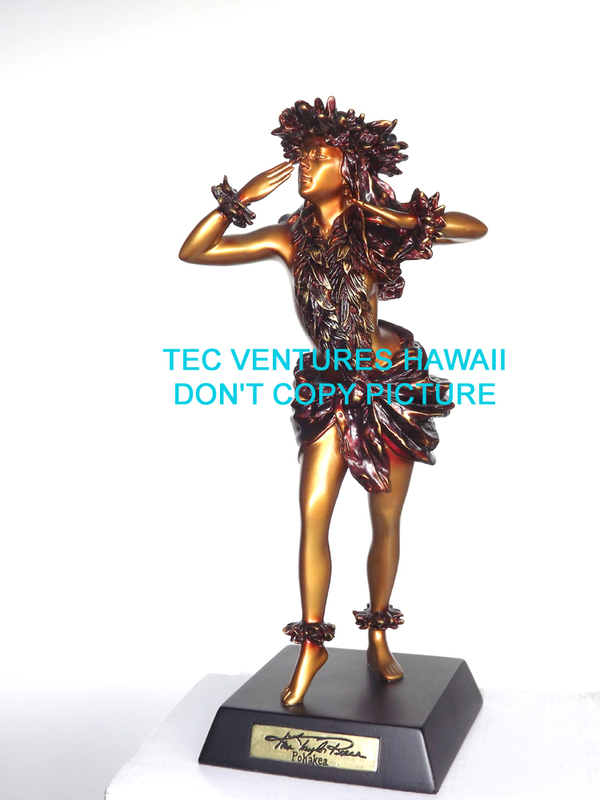 KTR Resin Sculpture "Kamalani" 12" high. 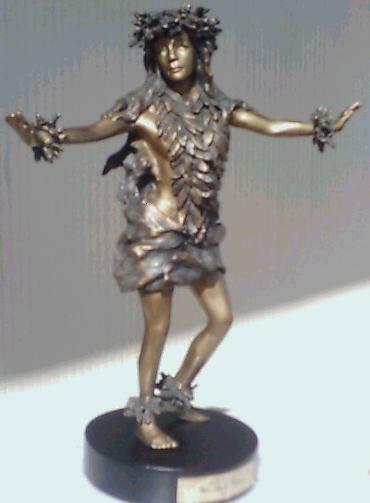 (Heavenly Child) ONE OF THE NEWEST SCULPTURES! 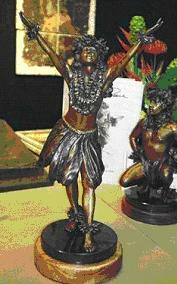 KTR Resin Sculpture "Kuukei" 12" high. 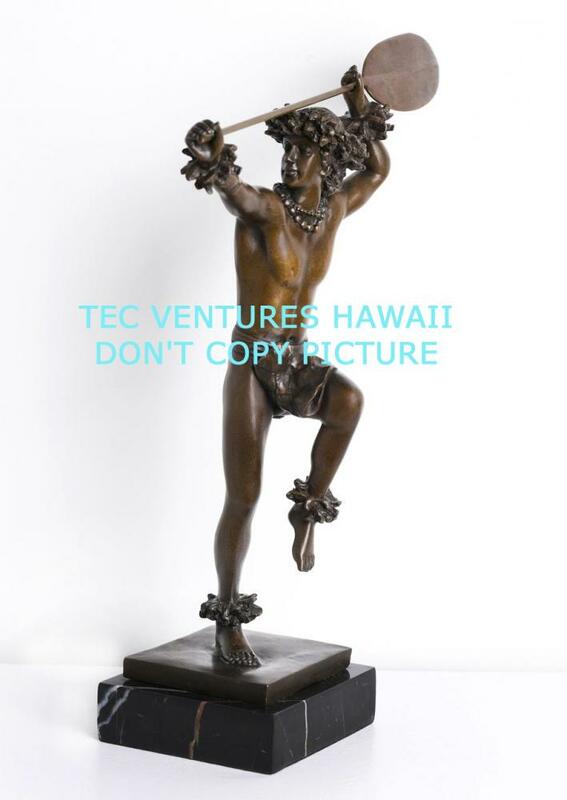 (The Lei, My Lei) ONE OF THE NEWEST SCULPTURES!! 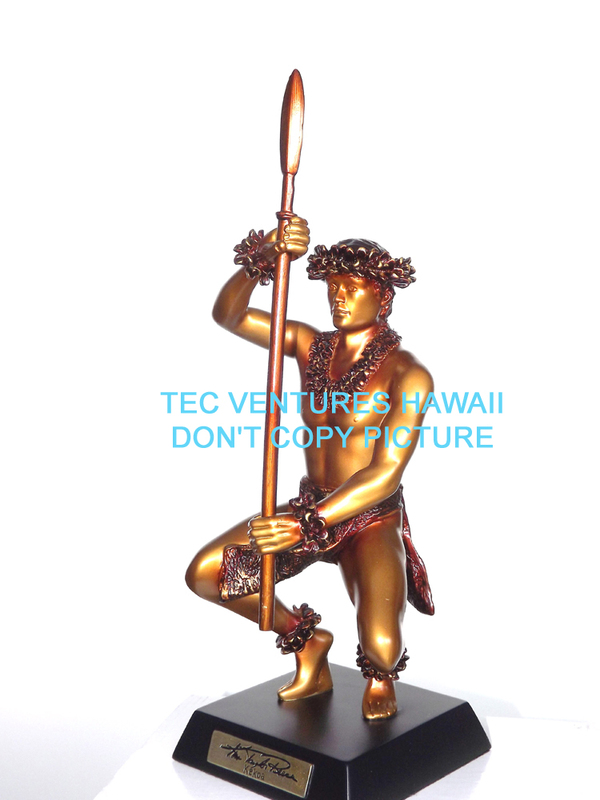 Brass "Hoe Wa'a." ORDER NOW!! 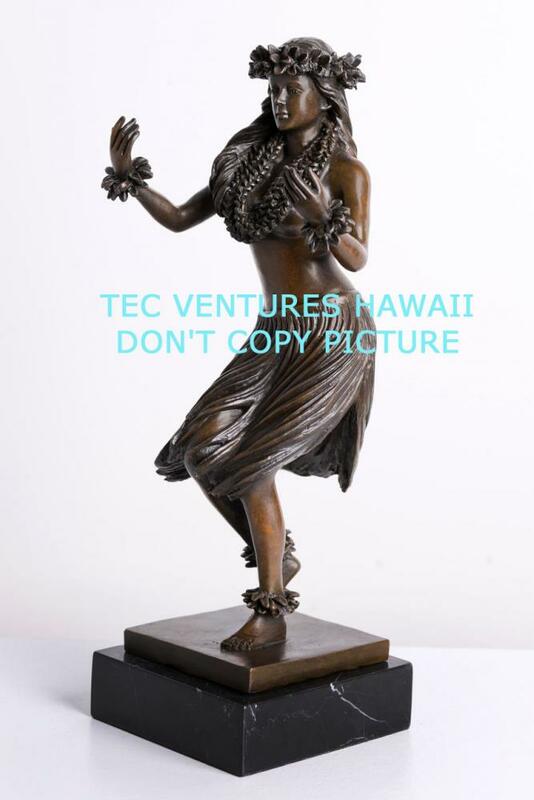 Bronze Statue "Kilakila." ORDER NOW!! 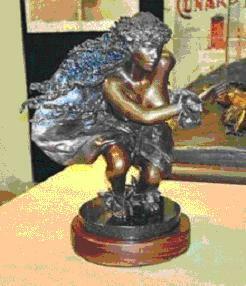 Bronze Sculpture "Pohakea." ORDER NOW!! 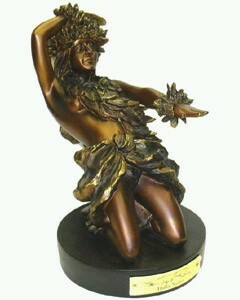 Bronze "Kilohinani" 12"H. ORDER NOW! 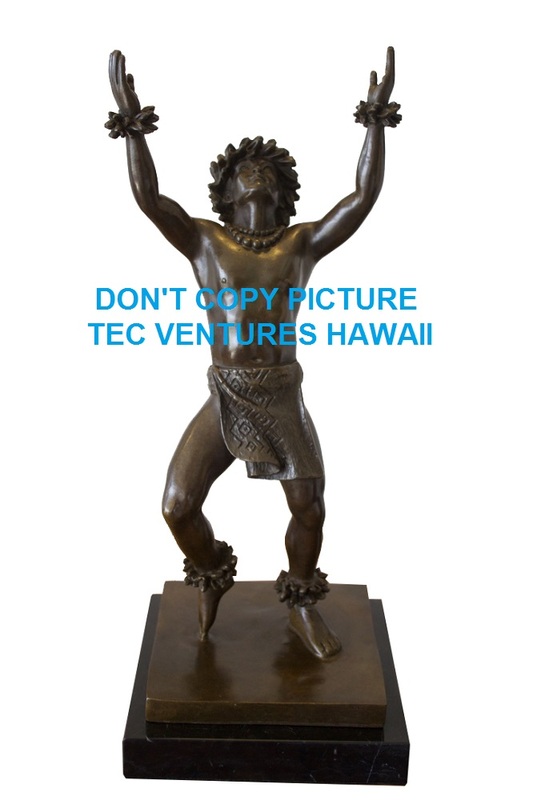 Bronze "Kahiko Kane." ORDER NOW! 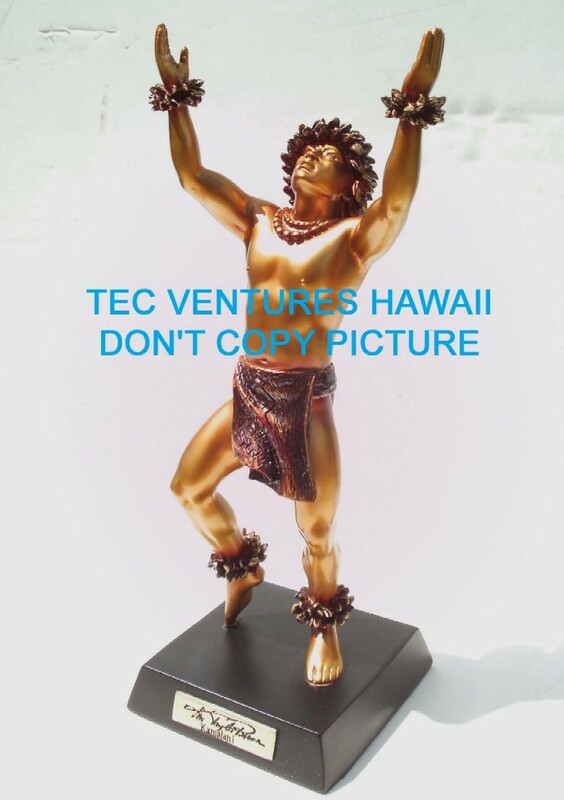 KTR Bronze "Kane Kahiko," 14" high. 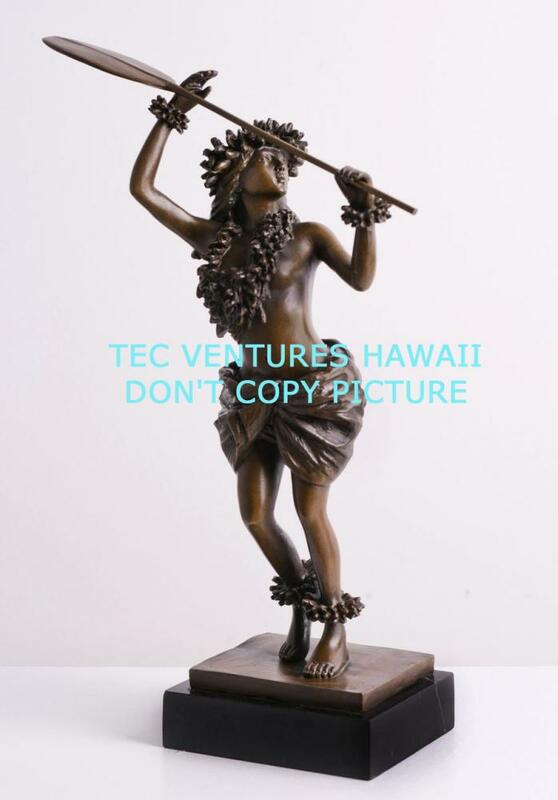 KTR Bronze "Ki'ipa Lei," 16 1/2" high. 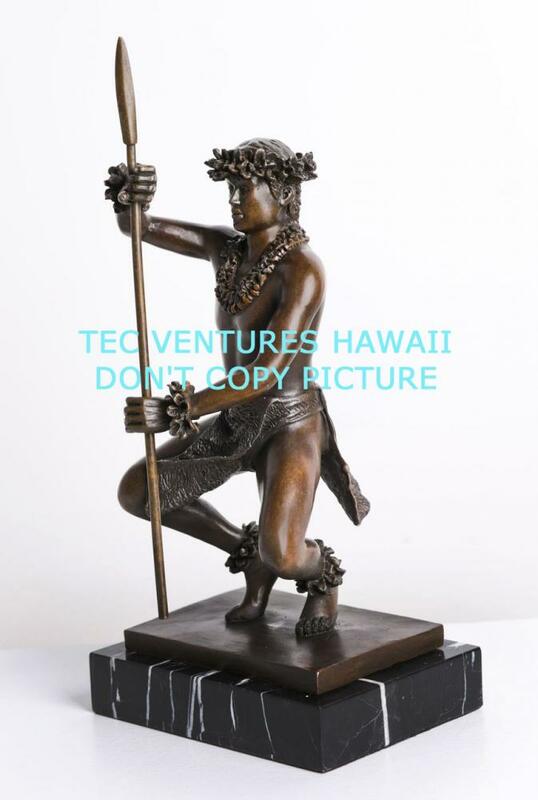 KTR Bronze "Ku'ulei," 19" high. 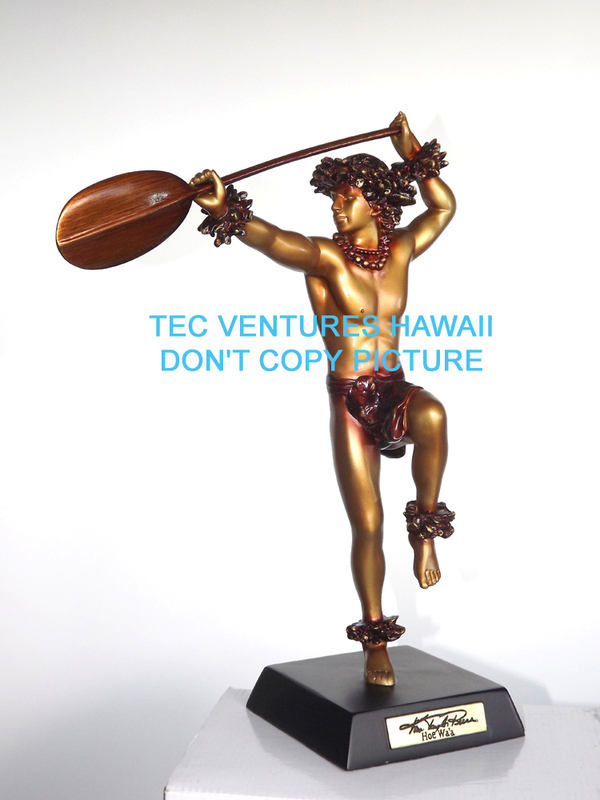 KTR Bronze "Makani Lei," 23" high. 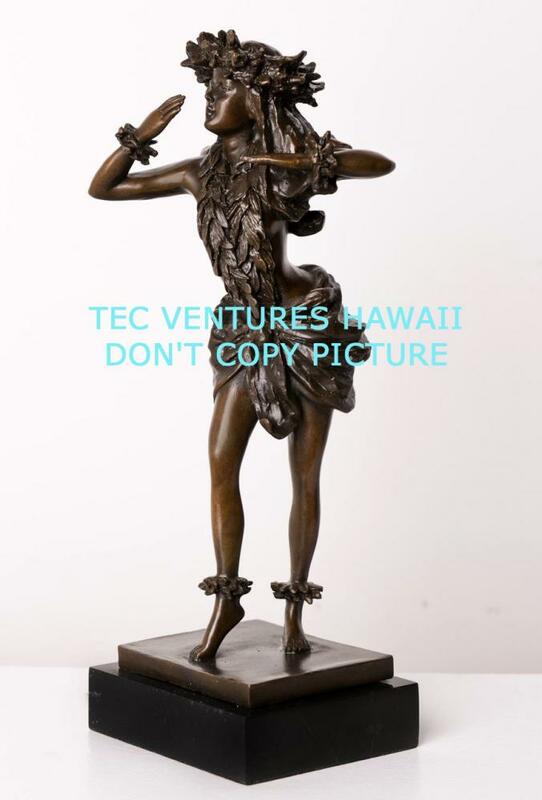 KTR Bronze "Wahine Kahiko," 12" high. KTR Resin Lamp "Moe Kahakai" 20" high. 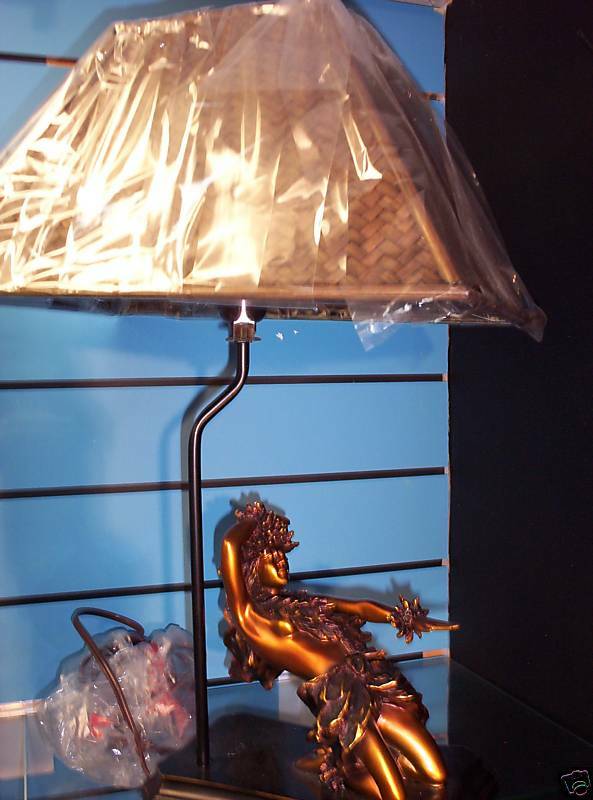 One of our Newest Lamps!! 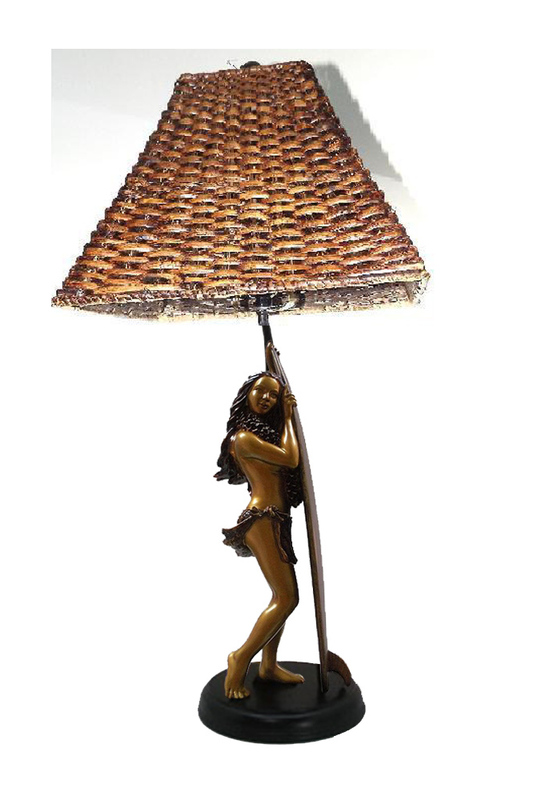 KTR Resin Lamp "Kilakila" 20" high. 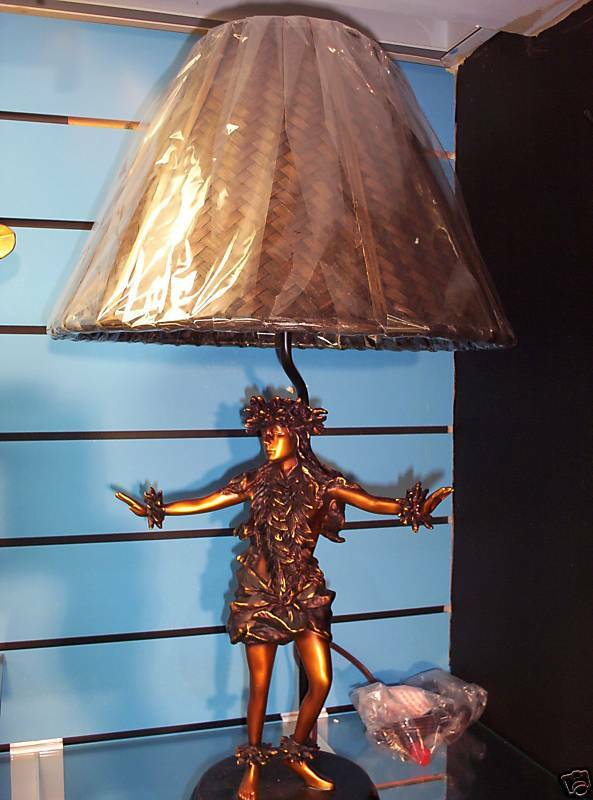 KTR Resin Lamp "Pohakea" 20" high. 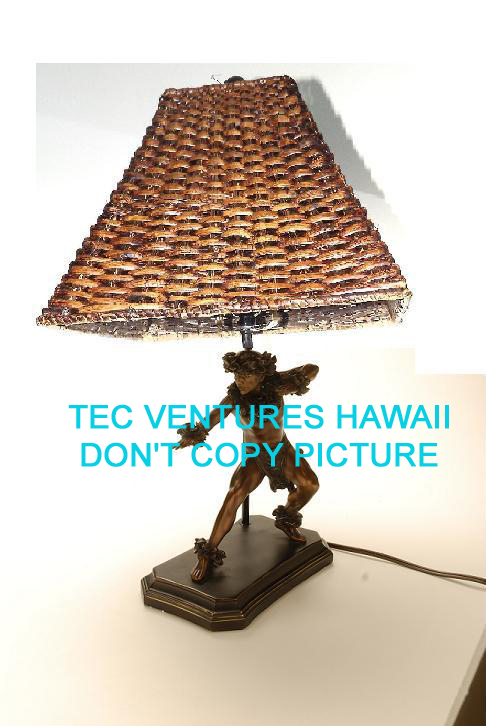 KTR Resin Lamp "Kilohinani" 20" high. KTR Resin Lamp "Kahiko Kane" 20" high. 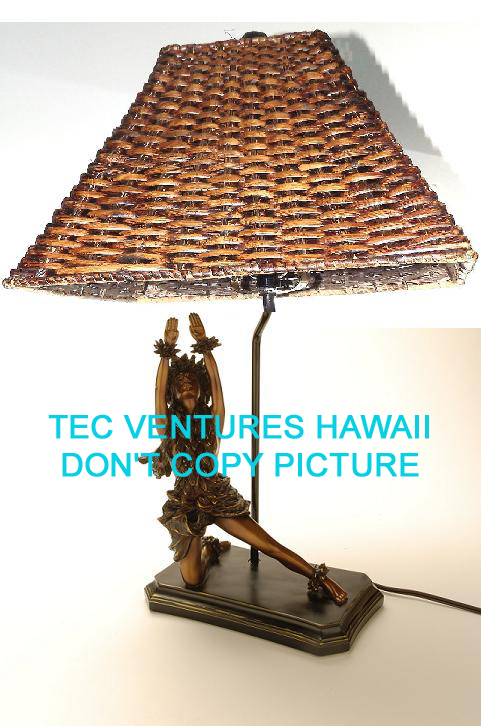 KTR Resin Lamp "Aloha" 20" high. 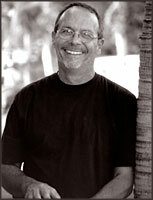 With round shade. 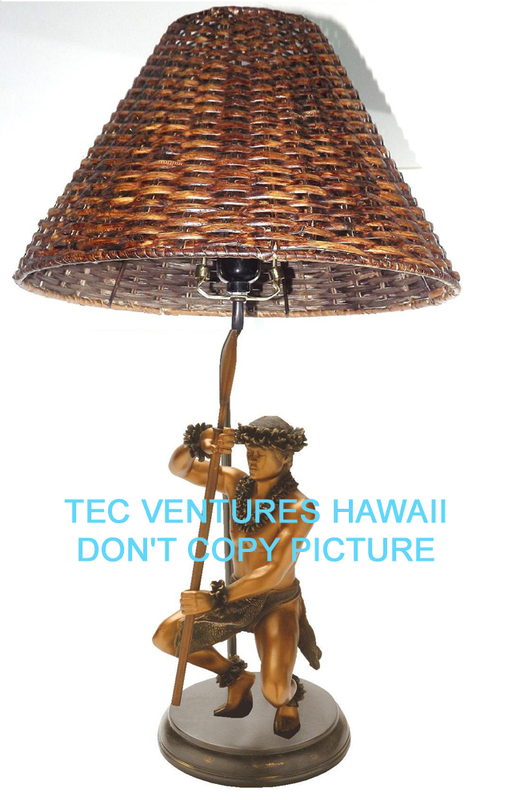 KTR Resin Lamp "Kekoa" 20" high. With round shade. KTR Resin Lamp "Pahoe" 20" high. Available NOW! 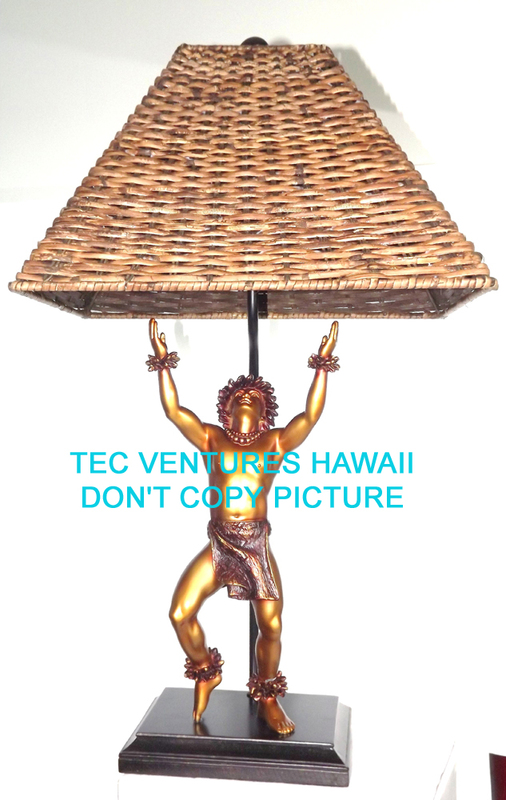 KTR Resin Lamp "Kamalani" 20" high. Available NOW! 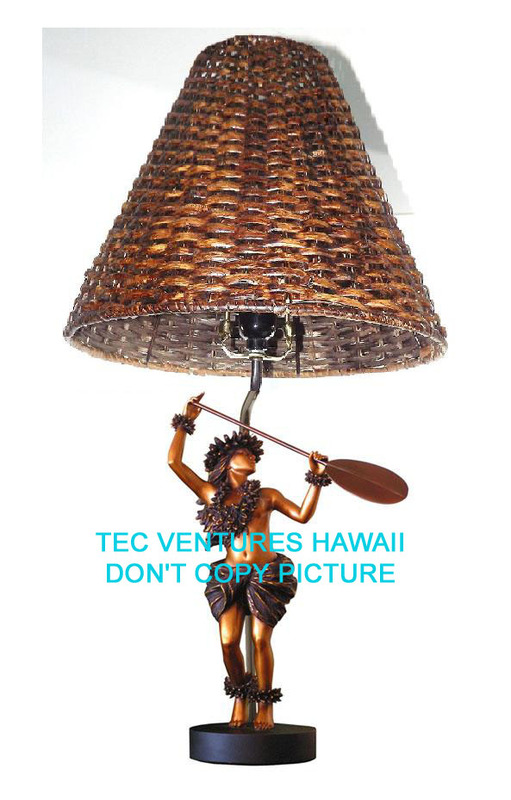 KTR Resin Lamp "Ku'ulei" 20" high. Available NOW! KTR Resin Lamp "Ala" 20" high. SOLD! 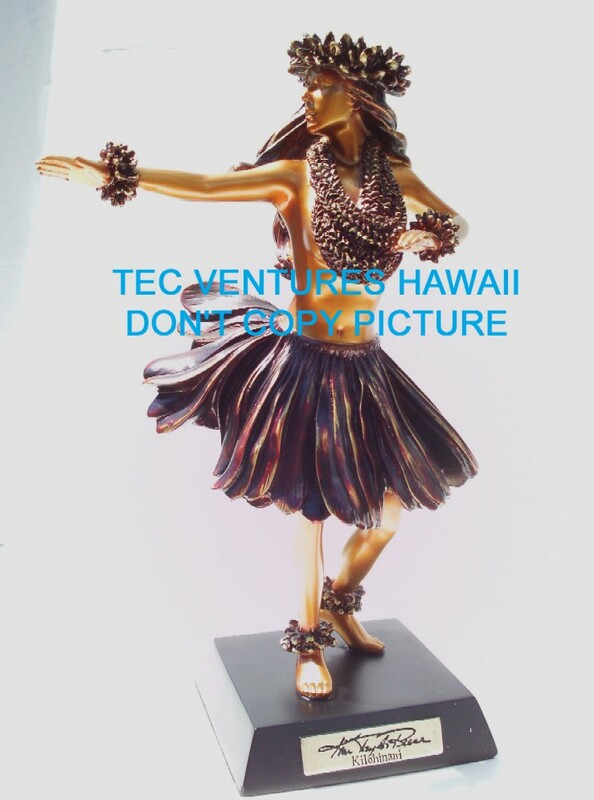 KTR Resin Lamp "Hula Noho" 20" high. SOLD! 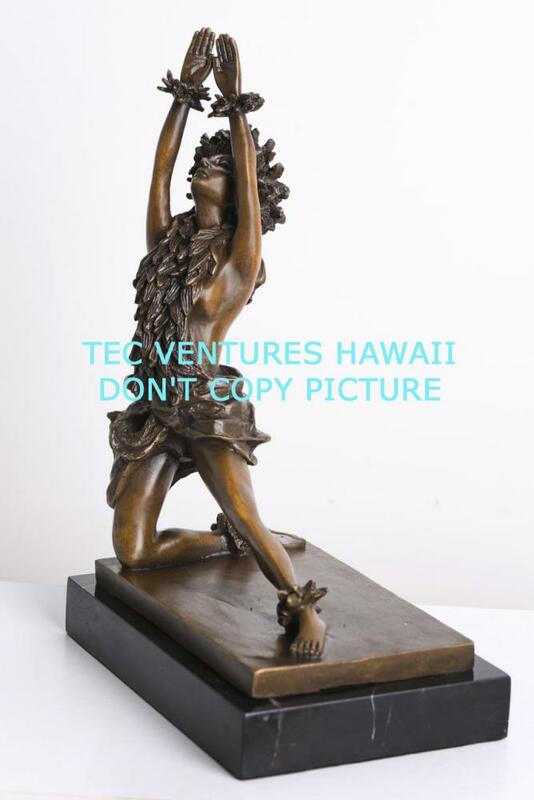 KTR Stainless Steel and Pewter Wine Stopper "Pohakea""
KTR Stainless Steel and Pewter Wine Stopper "Aloha""